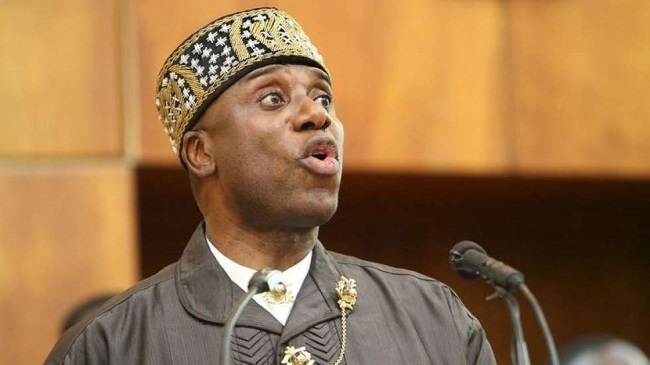 A chieftain of the All Progressives Congress (APC) in Rivers State, Princewill Dike, has defended the Minister of Transportation, Chibuike Rotimi Amaechi, over viral audio tapes of him criticising President Muhammadu Buhari. Reno Omokri, an ex-presidential aide on new media, on Sunday, released a full audio recording of Amaechi referring to President Muhammadu Buhari as an ignoramus who neither takes advice nor reads to acquire information. 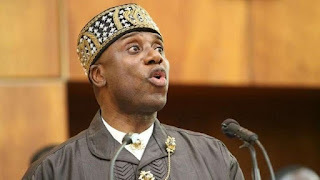 The viral audio has since stirred controversies from opposition parties as they called on Amaechi to step down as Director-General of Buhari’s campaign. Commenting on the audio, Dike, in a statement made available to newsmen on Monday in Port harcourt, described the audio tapes making the rounds as doctored. He said that since the ouster of the Jonathan administration in 2015, beneficiaries of that administration have not forgiven Amaechi, who is seen as the arrowhead of their defeat. Dike added that Amaechi is loyal, has integrity and therefore has no reason to run down President Muhammadu Buhari. “Amaechi is one of the few ministers who have unrestrained access to the president and his ears. You can see that he has no reason to run down his beloved boss behind the scene. “Amaechi is a man of iron cast integrity and thus double standard is not in his gene, a man of rare courage, what he can’t say before you, he won’t say it behind you. Meanwhile, another audio clip of Amaechi, Director-General of President Muhammadu Buhari’s campaign organisation, has leaked with the embattled Minister of Transportation heard describing Lagos as a ‘glorified village’.